It has been eight years since Portsmouth and Queens Park Rangers last met in a competitive game. Back then QPR recorded a 2-0 win over Portsmouth and it has to be noted that under 2.5 goals have been netted in each of their last four meetings in all competitions. 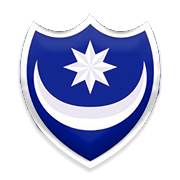 The Pompey aim to make amends for back-to-back losses to the likes of Blackpool and Oxford United and they must be low on confidence ahead of the visit of the Championship side. The Hoops suffered a dip in form as well, with the team losing to Sheffield United and Preston in previous two league fixtures, but they are definitely capable of beating the League One side at Fratton Park. However, seeing that the Pompey are tough to beat at home, we predict that the winner of this FA Cup tie is going to be decided in the replay at Loftus Road. Born in Sydney, Australia on September 25, 1992 Massimo Luongo attended Waverley College. In 2009 he won the championship with the team and two years later he was spotted by Tottenham Hotspur scouts. In January 2011 Luongo, whose mother is of Indonesian heritage, impressed on trial with Spurs and, as a result, he remained at White Hart Lane. 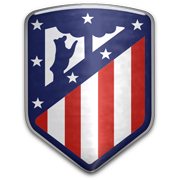 However, did not see any game action for Tottenham Hotspur during his spell with the capital club. After ending his loan spells with Ipswich Town and Swindon Town, the 176-cm-tall midfielder signed permanent deal with the Robins and you should know that he scored 10 goals in 76 appearances in the league for the club. In 2015 he returned to London, with the Australian international joining Queens Park Rangers. Luongo scored his first goal for the Hoops in a 5-1 win over Rotherham United on March 18, 2017. The QPR footballer made his Australia debut on March 6, 2014 in a 4-3 defeat to Ecuador. In 2015 he won the AFC Asian Cup with the Socceroos. Queens Park Rangers are well known as QPR. The capital club was founded in 1886 and Loftus Road Stadium is QPR’s ground. Loftus Road Stadium was opened in 1904 and the capacity of the venue 18,439. However, it has to be noted that no less than 35,353 spectators watched the game between QPR and Leeds on 27 April, 1974. The Hoops finished the 1975/1976 First Division campaign in second position in the standings, just behind champions Liverpool. This is considered the club’s biggest success, but Queens Park Rangers made it to the FA Cup final in 1982 as well. QPR were beaten by fellow capital club Tottenham Hotspur in the title game, but they did well to lift the League Cup trophy in 1967. 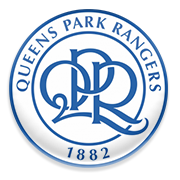 Queens Park’s main rivals are Brentford, Chelsea and Fulham, but other clubs based in London are considered QPR’s rivals as well. The colour of QPR’s shirts is blue and white.